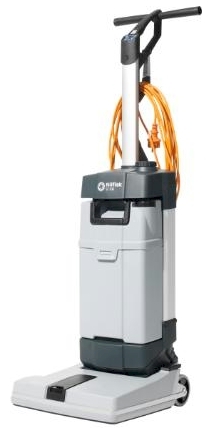 The Nilfisk SC100 is designed for in-depth cleaning of narrow areas. Compared to the manual solution of a mop and bucket, this compact upright machine will get the job done faster and offers superior, hygenic and safe cleaning. Innovative scrubber dryer for cleaning narrow areas with an upright design and low deck profile for difficult to reach places. 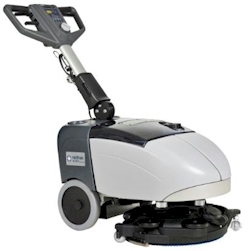 The Nilfisk SC100 Scrubber Dryer makes cleaning fast, hygenic and safe. The Nilfisk SC100 Scrubber Dryer is ideal for retail, restaurants, convenience stores, fast food outlets, hotels and in-home cleaning. Scrubs and drys in one pass giving fast access to cleaned areas. Ergonomic handle for comfortable one or two handed operation. Easy to carry and transport – only weighs 12 kg. 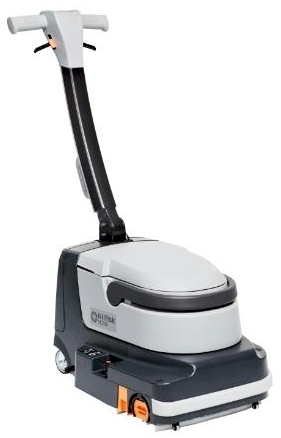 Unlike mops, the SC100 only uses clean solution, eliminating dirt and bacteria. Flexible cleaning with two solution flow settings: eco-flow for light cleaning and double-flow for spot or heavy duty cleaning. The robust aluminum frame design guarantees high reliability and long life. Productivity is high due to the sheer speed of the machine as it is sweeping, scrubbing and drying at the same time, moving both forward and backward. Debris, dirt and even the smallest dust particles are removed effectively by the 34 cm cylindrical brush. For more in-depth cleaning without sweeping feature a microfiber roller can be used as option.When cleaning, you can lift the front squeegee from the user position for easy pick-up of larger debris without having to stop. With two different solution flows you can adjust so it fits the cleaning task. 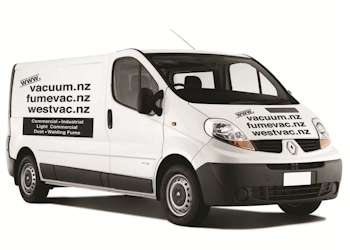 Two simple ways to save time and cost without compromising on the result. 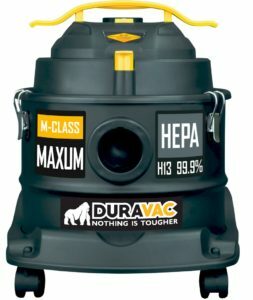 Click here to see our wider range of Nilfisk vacuum products.